Judge Stephens ready for turkeys’ distribution. Judge Joe Stephens continues his tradition of generosity by donating turkeys to needy families in the area. 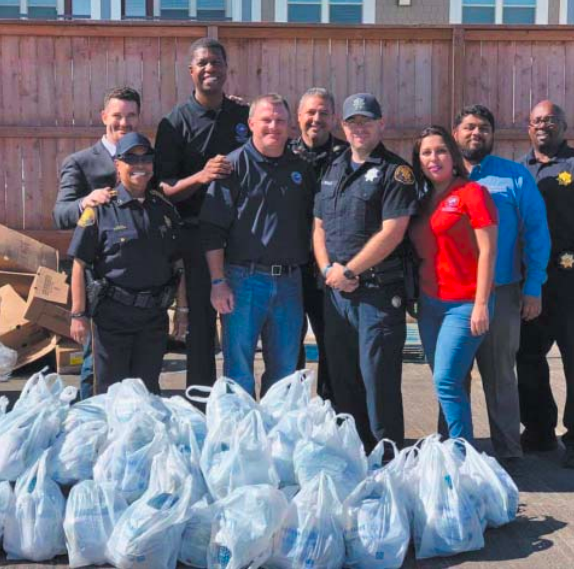 Judge Stephens collaborated with Ronny Dwairy, Constable Sherman Eagleton and Christian Tabernacle to purchase and distribute 1300 turkeys to those in need in 5 different communities. The turkey giveaway was a weekend long event starting on Friday, November 16th with 450 turkeys given out in the North Shore Area. The donations continued on Saturday when Judge Stephens and volunteers set up in North East Houston, Barrett Station, Baytown and Sheldon. Judge Stephens started the turkey giveaway in 2012 with only 300 turkeys and each year it has grown. Judge Stephens would like to say thank you to everyone involved for making this year’s turkey giveaway a huge success.